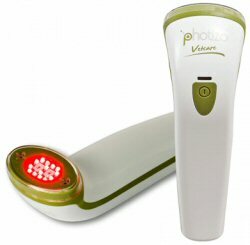 Description: Photizo Light Therapy is non-invasive alternative therapy tool for wound healing, musculoskeletal conditions and pain relief. It uses the healing power of red and Infrared LED light at specific wavelengths and frequencies proven to be effective in accelerating natural healing of the body, reducing swelling and inflammation, stimulating the immune system and relieving pain. Cells that are injured can actually be rejuvenated by light. Photizo® Vetcare is designed to treat domestic animals (dogs and cats), horses and large livestock such as cattle, sheep, goats and deer etc. Why did you want to review this product? Having used this product satisfactorily for almost a year, I was happy to share my experience with other dog owners. I initially bought a Photizo® Vetcare because my oldest border collie was diagnosed with arthritis in the lumbar region. Although she wasn't lame, the arthritis was marked on the x ray and I thought she must be uncomfortable. Seeking to avoid veterinary medication if possible, I looked into other ways of helping her. Having been recommended Photizo by a friend, I asked my veterinary physiotherapist to check out the product on-line before I purchased it. It is set at recognised veterinary wavelengths, so I was confident that it would be useful as part of any prescribed treatment programme, or just when I noticed any slight issues. It's proven to be effective in the treatment of skin conditions (including post operatively), for musculoskeletal problems (chronic conditions, acute or overuse injuries) and for chronic pain. 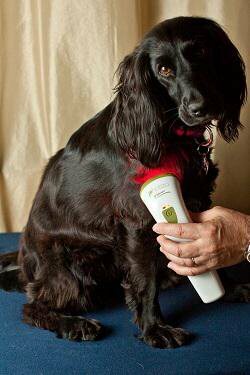 As well as regularly using the Photizo for the arthritis, I have since also successfully used it for the same dog to help heal a surgical scar and on her daughter when she suffered a hairline toe fracture. One of my terriers also benefited from treatment when she had 'cold tail' and, on another occasion, a compressed nerve in her neck. My veterinary rehabilitation specialists have also recommended this product to other clients. As a bonus, I've also been able to use the Photizo® Vetcare on myself after the manufacturer kindly provided me with a user guide for humans to help problems related to an ankle fracture and for my own lower back problems. The settings are the same as the human Sport product. It's also great for muscle soreness after a hard day at an Agility show and for clearing sinuses/sore throats etc. I can confidently say it works! Because the unit is preset at the correct frequency for treatment, it's extremely safe and easy to use at home. It's light, and comfortable to hold. The battery lasts for 180 minutes of continuous use. It's easy to recharge and somes with a mains UK charger which can be used while plugged into mains electricity. It is simple to use. No training is required. It includes an easy to follow User Guide with step by step instructions of how to use the device properly. That's a tough one. I can't think of anything other than perhaps a padded carrying case. I keep mine in the box when I'm away in the caravan, so a case would be useful. What did you think about the quality of the product? This is a stylish, high quality product that appears to be very well made. It comes with a lead to recharge the battery and a cover. Personally, I think this product is great value for money. Although I can see the price could be seen to be prohibitive for some, I think it is likely to save on veterinary treatment bills in the long run. Overall rating: 9/10. So far, I haven't been able to fault this product. Would you recommend this product to your family and friends? 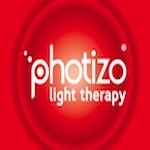 Yes, I have recommended Photizo® Vetcare on several occasions. It's great to use as part of a treatment programme or on your own. Chris Garrett has lived with dogs for most of her life. She currently has four dogs - two Border Collies and two Manchester Terriers (mothers and daughters). 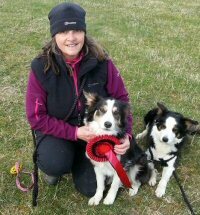 She's been competing in Agility for more than 15 years and is a qualified instructor with a training venue in Berkshire. Chris helps to organise the LOW 550 events at KC shows.